We are the foremost company involved in the manufacturing, supplying, trading, service providing, importing and exporting Cartridge Heater. 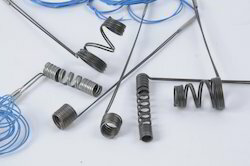 Our professionals use premium quality material for manufacturing these machines. To add on, these are available at market leading prices to our clients. 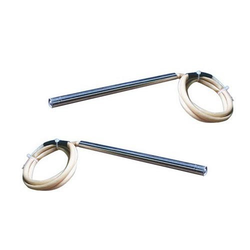 Our company has been acknowledged as the prominent manufacturer, supplier, trader, service provider, importer and exporter of High Density Cartridge Heaters. To cater to the diverse needs of the customers, we have wide range of these heaters which are highly qualitative. These heaters are extensively used in many applications such as packaging machinery, hot runner mould, hot stamping and others. In addition to this, these are available at pocket friendly range. 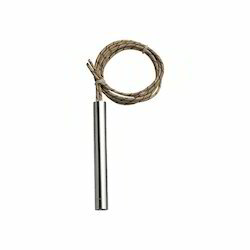 Our company is among the best rated companies which deal in the manufacture, supply, trade, service provider, import and export of Low Density Cartridge Heaters. Our experts use supreme raw material for fabricating these heaters which are stringently tested on quality. These are compliance with industry standard and have gained huge appreciation by our customers for their easy functionality. Apart from this, these heaters are offered at competitive prices to our dear clients. Our company has been highly acclaimed in manufacturing, supplying, trading, service providing, importing and exporting Cartridge Heater Filling Machine. 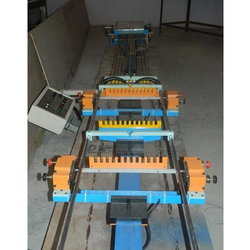 Stringently checked in various industry laid parameters, these machines are made by using supreme raw material which is purchased from authentic and trusted vendors.